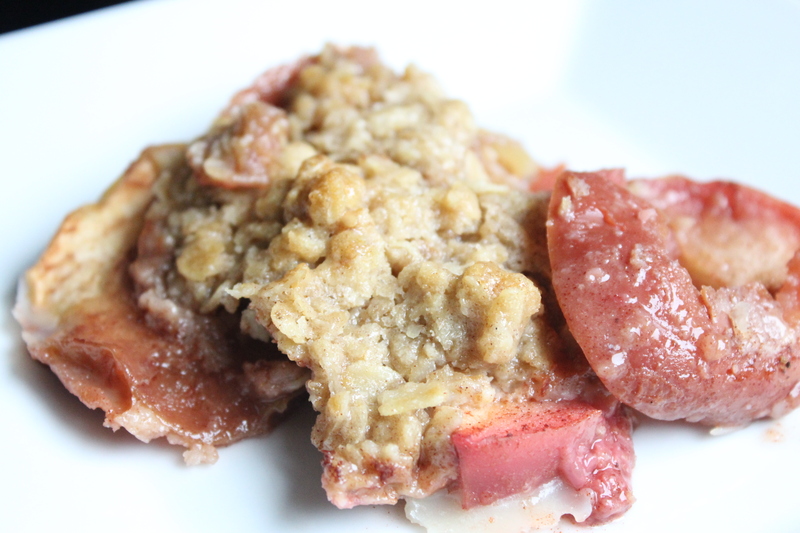 This is one of my favorite dishes to bake in the fall because apples in Michigan are so amazing and this past week raspberries at Meijer were only 50 cents a container! Seriously…..50 cents! Preheat oven to 400 degrees – make sure oven rack is in the middle. Mix all bottom ingredients together & spread evenly in dish. Mix all topping ingredients together with a fork until crumbly & sprinkle over bottom mixture. Happy Easter! 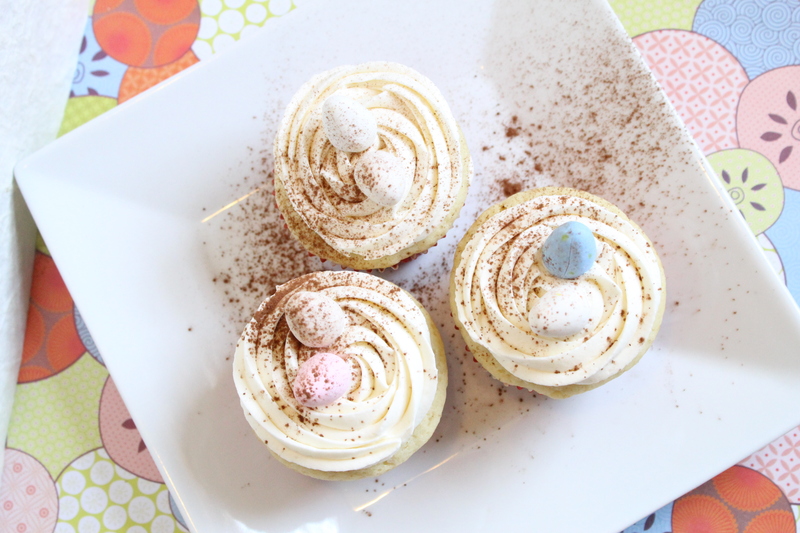 I decided to create a cute Easter cupcake today to share with you all. Mix butter and sugar together until light and fluffy. Add one egg at a time until incorporated, add vanilla. Scrape down bowl. 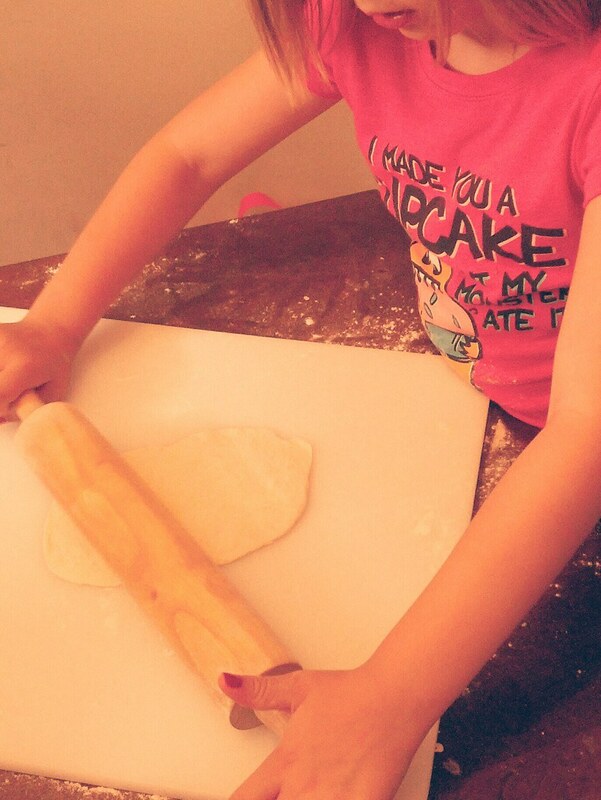 In a separate bowl, sift or mix with a fork – flour, baking soda, baking powder, salt. If you do not have buttermilk, make your own by mixing 1 cup of milk and 2 tblsp. of white vinegar, let sit for a minute. Alternate buttermilk and flour mixture, do not overmix. Fill paper cups 3/4 full and bake for 16-18 minutes depending on how full your cups are and the altitude. For lemon frosting, add 1/4 tsp. lemon extract, add more if you want a stronger lemon taste. I used the cadbury eggs and sifted cocoa on top. Let cool, frost & ENJOY! I hope you all have a blessed Easter! 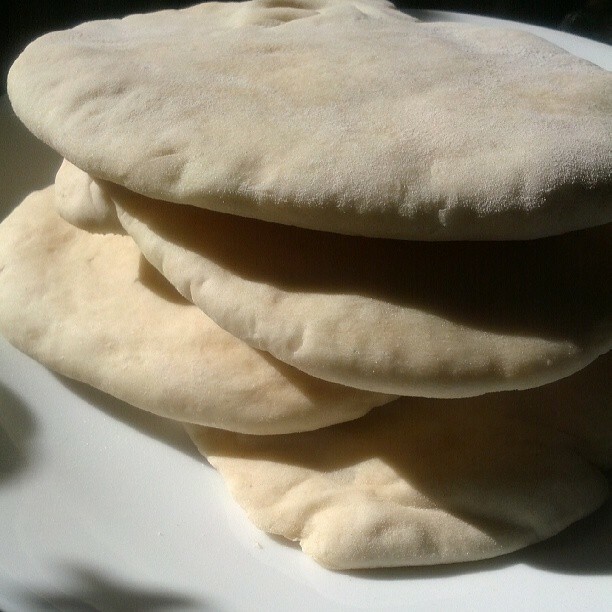 I love a good pita bread but am not a great bread maker – this recipe makes it so simple! I just love hot cocoa with my little one on a snowy day. Our Michigan winter has been full of cold and snowy days this year. Stir over medium heat until completely combined – enjoy! 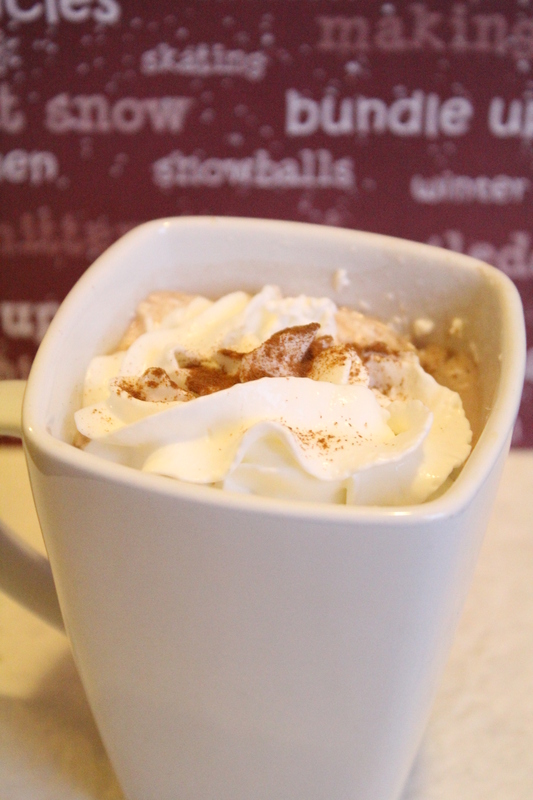 Top with whip cream & cinnamon if desired. Have you ever wondered just how many toxins are in the carpet freshener that you find at the stores? The smell may be lovely but you’re doing more harm than good, especially if you have children or pets that have consistent contact with the carpet. Sprinkle sparingly onto carpet, let sit a few minutes then vacuum. 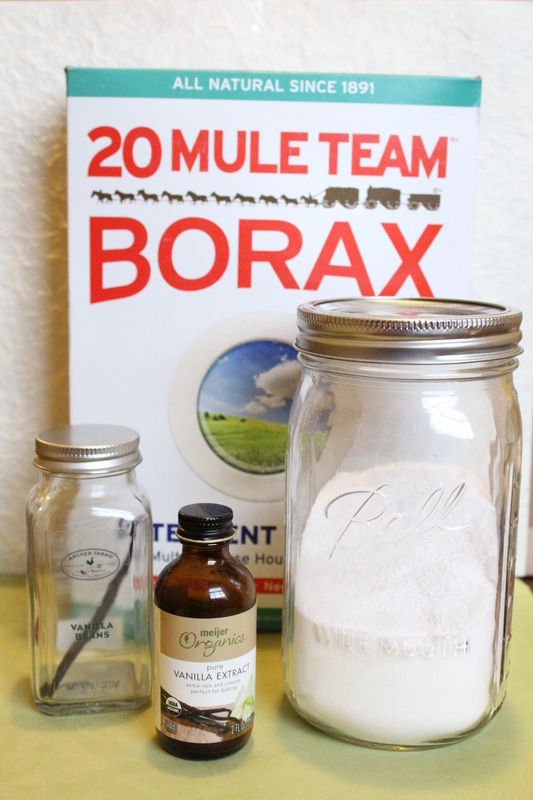 Borax is a natural odor fighter and can be used for many cleaning tasks around the house. *Substitute with different essential oils to your liking! 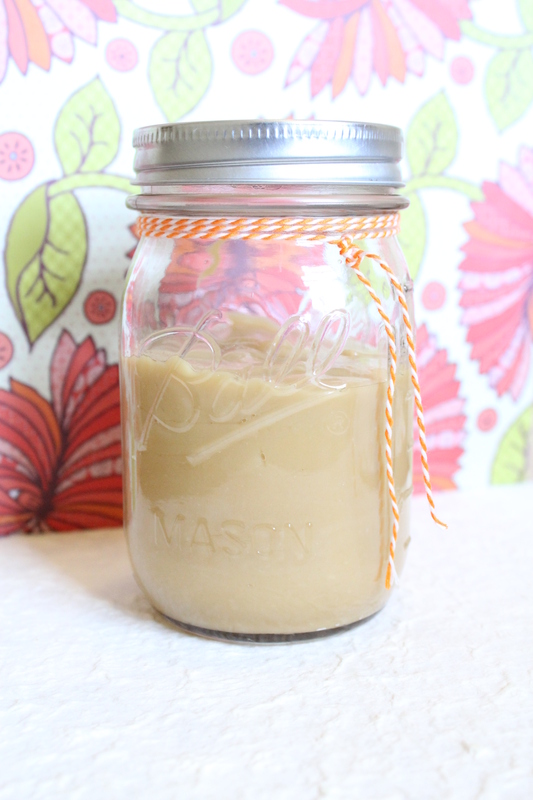 This caramel is so good, I could just eat it all right out of the jar and it’s super easy to make! Mix all ingredients in a heavy saucepan over a medium-high heat for 5 minutes, bring to a boil then remove from the heat and stir a few more times. 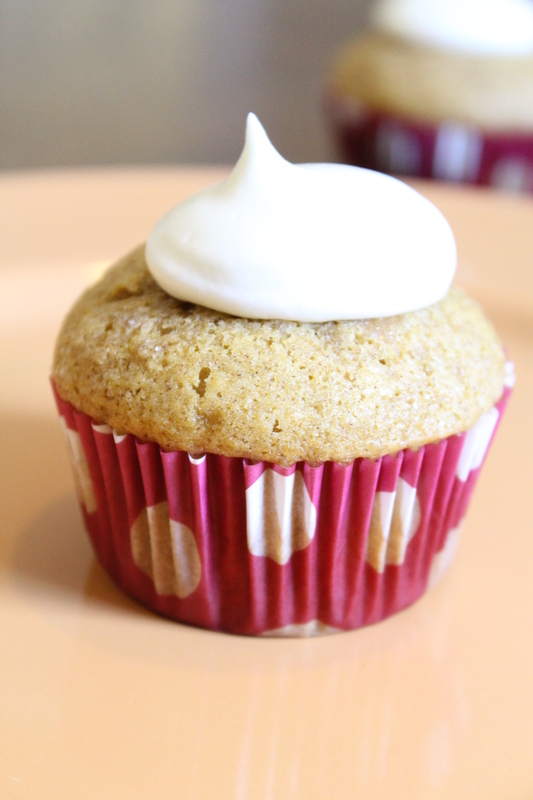 Tomorrow is Thanksgiving and I just felt compelled to make pumpkin cupcakes with cream cheese frosting. Who doesn’t love homemade cream cheese frosting?!? I was hoping that there would be some left over for dessert after dinner tomorrow but they are gone already! In a small bowl, mix 1/8 cup of sugar and 1 tsp. cinnamon to sprinkle on top of cupcakes before baking. Mix pumpkin, oil, and sugar together. Add eggs one at a time. Add nutmeg, cinnamon, all spice, ginger, and salt. Mix well. In a separate bowl mix flour, baking soda, and baking powder then add slowly to wet mixture. Scoop into cupcake liners and bake for 18-21 minutes depending on your oven.